In this year's A to Z Reflections Posts I kept seeing the name of Corinne Rodrigues mentioned in regard to the bloggers she had encouraged to join A to Z and the blogging community she had developed. Since one of the goals of the A to Z Challenge is to build community, what she was doing was right in line with what I'd been working toward. Corinne was so successful at this community building that I've invited her to the A to Z Blog to tell us more about this topic. I think what she has done is part of the future of what the A to Z Challenge will become. Although I've been blogging regularly for six years now, it was only in 2011 that my blog really took off. That was largely due to the fact that I was invited to join a Blogging Group on Facebook. This was a group in which we share our links, have a lot of fun and laughter, discussed issues and yes, even got into arguments at times. We sent each other messages when we knew someone was not feeling good, wished each other for birthdays and anniversaries and even condoled the passing of family members. But most of all, we visited and commented on each other's blogs. Now I knew that each time I posted, I could share my link in the group and have at a couple of visits and comments on my blog. This was so different, from putting my posts out in the blog world and hoping some random blogger would come along and be nice enough to read and comment. Some people say that they don't blog to be read, and don't need assurance from their readers. My question to such folk would be, 'Why blog, then. Why not keep your blog private?' If we're honest, every visit, every comment, every 'award' does make us feel that someone is 'listening' to us. I can quite frankly say that the moment I knew I had serious and committed readers, the quality of my posts improved. Now I knew for certain that people were 'listening' and caring enough to tell me so. 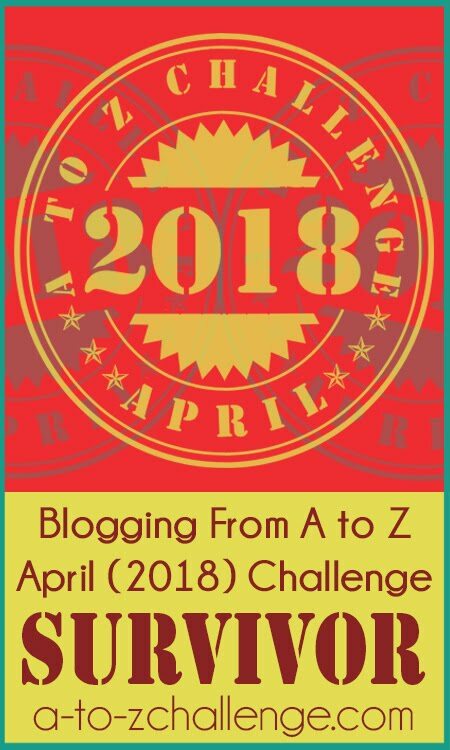 It was with this experience in mind that I decided to take on the Blogging from A to Z April Challenge for the first time. I'm part of a group of Indian women bloggers - but it's a blogging group with a difference. We don't share our links - we share our thoughts and opinions on a variety of subjects. So while I interact with a lot of bloggers there, I don't actually visit all their blogs and neither does everyone of them visit mine! When I read about the Challenge, I shared the link with this group. Someone in this group asked me if I was participating and told me that she would too if I was. I decided to take up the Challenge on the blog that I share with my husband (and dog!) so as to get it really started. By then the number of bloggers taking up the challenge was a staggering 1500. How was I going to be able to post, visit and get visitors to my blog, I wondered. That's when I had the idea of creating a Facebook group for specifically for Challenge. I invited some bloggers there, and they in turn invited others and soon we had a group about about 15 bloggers. A2Zeders was born. We read and shared all we could about the Challenge. A few of us had undertaken the challenge before and shared their experiences. Our guidelines were simple - write, read and comment. Every day I would pin a post for the Alphabet at the top of the group page. The members would then add their links to the thread and start to visit and comment on as many other blogs on the thread as they could. Many members even shared all the links on Twitter. It's summer in India, and many members were scheduled to go on vacation. So that was going to be a challenge. We found a way around that too. These members scheduled their posts and someone in the group religiously shared them on the relevant thread and made sure they got comments. There were a few members who seriously considered dropping out because of difficult work routines. Did we let them do that? No! Soon people were chatting to each other on other threads - asking for suggestions and ideas, praising someone's post for the day, inquiring why someone hadn't posted that day, motivating, pushing and just being community. 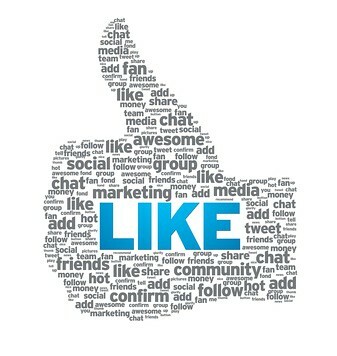 The power of community using social media was on display the entire month of the Challenge. As with all groups, there were some members who just shared their and didn't bother to visit other blogs or really interact in the group. Thankfully they were a very small minority. And it was completely their loss. I'm happy to report that some members got so hooked on to this experience, that they've taken on another challenge for May. Even better, we've created a new Facebook group - restricted to some of those who took part in the challenge. We've begun visit each others' blogs, take on group prompts, undertake blog critiques. 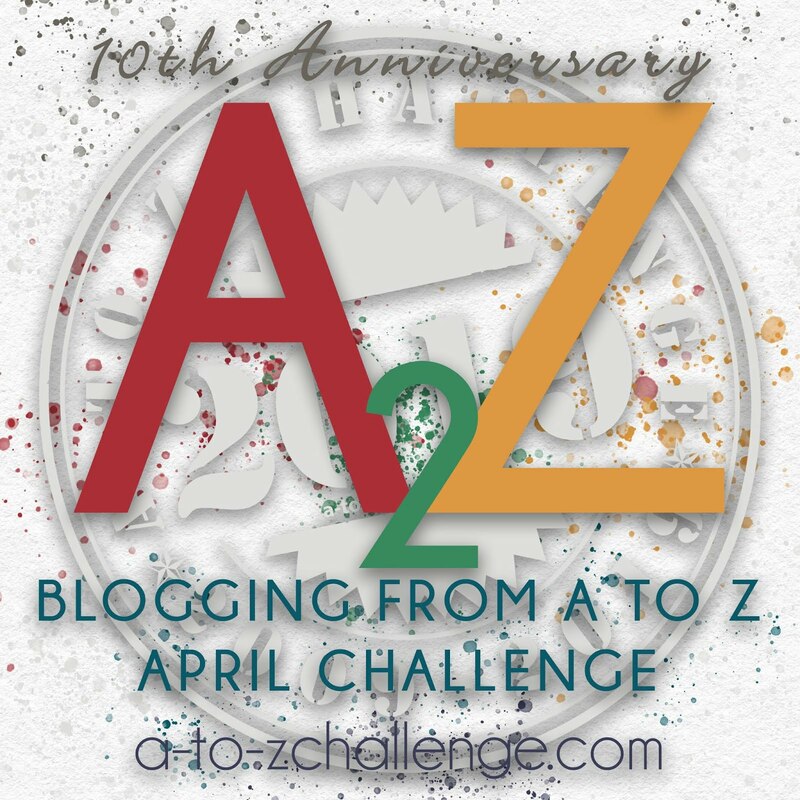 It's still in the early stages, but I'm confident the experience and euphoria of the A-Z Challenge can be converted into a sustainable group of bloggers committed to improving the quality of their writing and motivating other members to do the same. I'm grateful to Arlee Bird and all the members of the A-Z organizing team who through their creativity have encouraged other bloggers to be creative and innovative. Do you think that being part of Blogging Group on Facebook, Twitter, Google Plus or any other platform, can help improve your blogging/writing experience? Corinne Rodrigues is a Mumbai-based blogger who can be found here. Corinne, the AtoZers was an awesome experience. It's a very successful formula for blogging. But yes one has to do one's bit - visit and comment on other blogs. Thanks so much for this ingenious idea. Thanks for making me a part of this group. ... I'm still loving this experience. The A to Z Challenge was truly a fun-filled and an enriching journey for most of us in India. 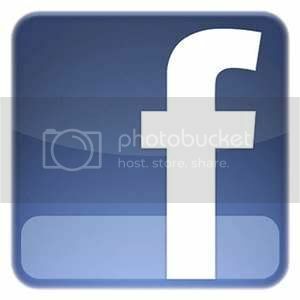 And that was because of Corinne and her brain child of creating the Facebook page for the group. Asking queries, sharing our thoughts and views, helping others, helped us connect with so many new blogs and bloggers. It was truly a fantastic TEAM work... together eachone achieved more! Being part of the group lead by a good team leader like U will make difference Corinne. Yep I am not praising for the heck of it. You are patient with all of us and patient with what ever U do. Ur dedication and patience r infectious ! and I specially loved these lines - Some people say that they don't blog to be read, and don't need assurance from their readers. My question to such folk would be, 'Why blog, then. Why not keep your blog private?'!!!! I think only people who are in AtoZeders can tell how much fun it is! I doubt so many of us would have survived it if not for the support and fun of that community. Congratulations, Corinne, on creating such a fab community. And on being featured here. The challenge was challenging but A2Zeders and Corinne made it all seem one roller-coaster ride. Corinne, you summed up that one month journey so well. It indeed was the whole community helping each other in their low moments, encouraging them with feedback and applauding the good work. Well, whenever I get the opportunity I never fail to mention that it is Corinne who has been a beacon for many of us. Frankly, I had not planned to take part in this year's challenge. All Corinne had to do was tell...I can never say NO to her when it comes to taking part in writing challenges. And, it is because of all these that the quality of my writing has improved. She is a rock star! 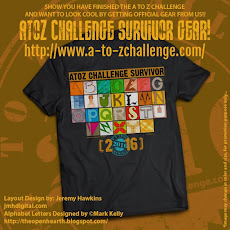 I loved the A to Z challenge! Through Corinne and the challenge I have met several amazing Indian women bloggers. Can I join A2Zeders? Is it an active group now that A to Z is over? It was a nice experience visiting, commenting and interacting. What I liked most about the group was how each one motivated and encouraged each other. That really helped to complete the challenge. Wow. I'm so excited this is happening! Great, wonderful, amazing, creative work, Corrine! Like Lee said, THIS is what we want happening with the Challenge. Way to go! Having done all four challenges I still find them exciting. I enjoyed your post very much and was good to read. Very well summarised, Corinne! I am one of those who thought of dropping out during the challenge, but when I felt the much love and encouragement shown by members of the group, I felt motivated to stick it out! It's all thanks to Corinne that most of us were successful! She's the one who visited all our blogs and egged us on when she didn't see our posts! Now, with the new group, I really feel encouraged to blog and improve my site! This is such a great idea! I know many of the writers (professional type) have other groups they meet up with in blog hops throughout the year, but it would be so cool if when the list came out at the beginning, somehow during sign up we could merge with some of the others who are like minded--craft blogs, cooking blogs, travel blogs, etc. I would still be interested in reading other non-related blogs, but it would be fantastic to do as you ladies have done and put together a support system. Yes, I do think being part of a group can help improve one's blogging experience, especially when taking on something as big as the A to Z Challenge. Much like blogging, it is important for people who are interested in that form of community building to find (and participate in) a group that fits their individual needs and interests. One group that works for some people might be less suited to the preferences of others, so it's all a matter of joining a "community" that is in line with your goals and likes...whatever they are. People sharing each other's links to blog posts is an excellent way to encourage more visits and comments for those who are participating in the challenge. I do not plan on joining any Facebook groups anytime in the near future but it's great that this particular social networking website is benefiting A to Z participants in terms of completing all 26 days in the Challenge as well as receiving visits and comments. Thank you for dropping by to discuss your approach, Corinne. It's notable to see the response from those in your group. That's cool you got an active group going on Facebook. We appreciate your efforts to spread the word about the Challenge. And community is what it's all about. I'm like you, been blogging for almost five years with it JUST taking off in the past couple of months, largely thanks to the A to Z challenge. I'm now gaining followers every day, connecting with other amazing writers who hook me up with other great blog hops that expose me to even more amazing writers and getting comments on every post I write! It's giving me the confidence I so desperately need (and so clearly lacked for all those years) and inspiring me to pay it foward as much as possible so that others can expereince that warm, fuzzy feeling I get every time a new person connects with me and says that they actually like my writing! Great job creating your own community- it's what keeps us going when we feel like giving up! Good luck, hope it all goes to plan in the future. Not sure what to say, I'm not in a blogging group but then I'm not on facebook and refuse to sign back up after managing to get my account deleted but I am on Google +. I've connected with a few other bloggers but could do with more. @SuzyQ - The idea wasn't really new, Suzy, but to use for a specific challenge was new. Like you said, reading and commenting is certainly a large part of the Challenge and it's good that we focused on that. @Rainbow Hues - So glad we 'found' you during the challenge. You fitted so well into the group. @Me - You're too kind. I admire the way you scheduled your posts despite your work load. @Sharmila - You're too good a writer to be only a reader! It was time to get your blog off again and I'm glad you took up the Challenge. That you scheduled posts and managed to blog while vacationing was great. @Shilpa Garg - Team work was truly evidenced in the group. Thank you for being a large part it. I was impressed by your creativity and commitment to visiting and commenting on every blog. @Afshan - You brought your own special touch by highlighting one blogger/blog post every day and making someone feel really special that day. @Akhil/Ayush - it was great to connect with both of you through this challenge. Looking forward to more. @Cynthia - there is no community without each member - glad you were a part of it. Your posts were always inspiring. @Shail - Thank you. So glad you joined in the fun. @Naina - It difficult to forget that night when you almost gave up - the way everyone found a way to encourage you was amazing. To me, that spelt community. But of course, the fact that you pushed yourself to keep at it despite crazy work hours is highly commendable! @Janu - Shhh..don't tell anyone I paid you to say that! ;) Just kidding. So glad you were a part of this - your experience from last year helped us too. What would we do without you? My vacations went uninterrupted because you so diligently posted my links on the group page. Thank you for being the awesome that you are....muah! @Talya The challenge was wonderful, indeed. The AtoZ will be closed at the end of this month. We'll revive it in time for the challenge next year. I will let you know about the other group I've started though, Talya. @LifeIsGood - Thank you so much, Tina. 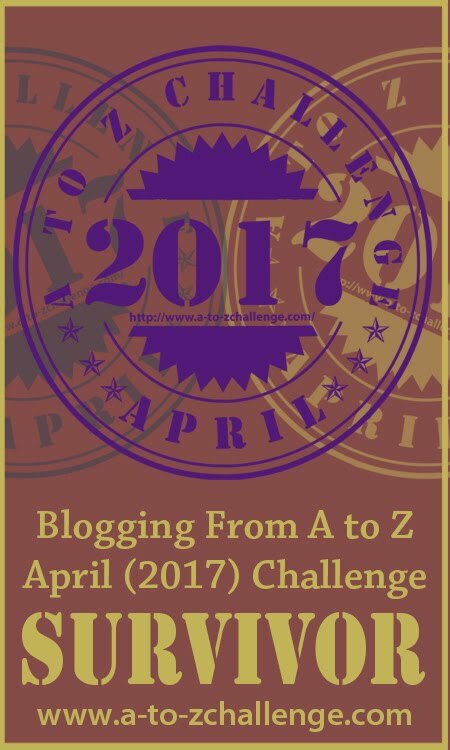 The A-Z Challenge was a great platform to create community which is the way forward for blogging, as I see it. @Yvonne Lewis - Four challenges? You're truly a veteran! @Ornery's Wife - That's a great idea! Perhaps next year, something along those lines can be done. Our group consisted of non-specific blogs. @Nicole - You're so right about everyone finding a group that makes them feel comfortable. My point is if you don't find one, create one! The groups needn't be on Facebook - we just used a platform we were comfortable. I'm sure like @Bill Nichols mentioned, G+ would work too. @Arlee Bird - Thank you for allowing me to share here. I am deeply honored. As you can see, our 'gang' is a bunch of sweethearts. @Alex J. Cavanaugh - Thank you for being part of the group makes sure it functions smoothly. We wouldn't have made without all the work you all do so quietly and efficiently. What a wonderful post that beautifully sums up what togetherness, community and supporting each other is all about - not to mention the fun way to motivate (self and others). Glad we were together on this challenge! And also glad we continue to interact via WriteTribe and the other initiatives you mentioned in your post. Very happy to read your post here, Corinne. Cheers! Beautiful post corinne ! thank you for being my motivation, its your invitation that I took seriously, and helped myself to remain committed for a whole month. @Beverly Fox - I'm so glad that the A-Z gave your blog the fillip it needed. Now, we've all got to sustain that. @Ayush Chauhan - Yes, this worked for us on FB since we use it everyday, anyway. Like I mentioned n my other comments, any other such platform can be used. Thanks for the vote of confidence, buddy. @Rob Z Tobor - RATS sounds really interesting! @Bill Nicholls - It needn't be a Facebook group, Bill. I'm sure G+ or any other platform would work just as well. @BlogwatiG - I knew you'd bring something nice from Singapore -and you did! Just kidding - you did a fab job of scheduling your posts. 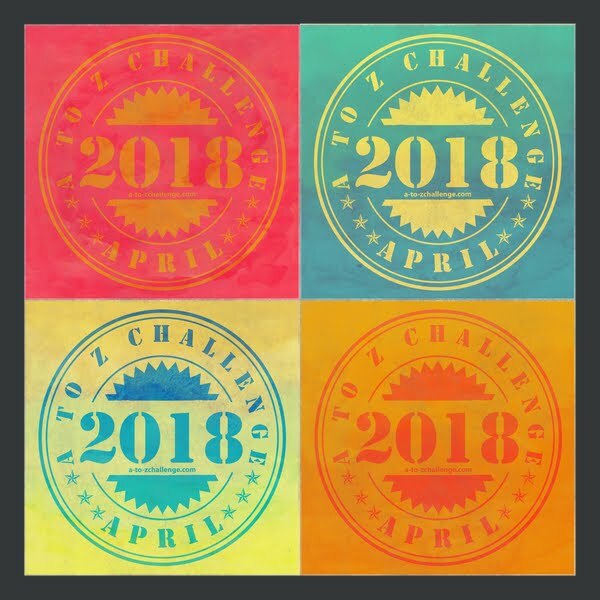 It sounds like you really found a way to connect with others during the A-Z Challenge. How exciting! So glad you joined the Challenge this year. Off to visit your blog. Hope to "see" you in the list for next year's challenge! Its really good to meet yet another Indian blogger here at this platform, I really missed it. This is really a wonderful experience, though i am here for sometime i really missed it,Anyways its good to see you here at this year's challenge, and a wonderful thing to read more about your and your group in relation to the challenge. Corinne, you kept me going and for this I thank you. That is fantastic! I would love to be a part of that group. I think it's great when you find people who are willing to go comment-for-comment with you. Reciprocation is polite, plus it introduces one to blogs that otherwise might have been missed! I would love to be in that Facebook group. Hope the number of accolades and your fans keep multiplying steadily, and I sincerely hope the Universe delivers to you what you ask for. Congratulations on being such a fab mentor, friend, co-challenge participant and our leading light. God bless. Casting Call: Guest Post at the A-Z Blog! Want to Join Us for the ULTIMATE ROAD TRIP?